Sixty devious test chambers stand between you and escape. Enter the toughest test facility on the planet and do your best to escape by out-thinking the evil administrator. Navigate your way through a web of lasers, deranged robots and terrifying bosses, collecting gadgets as you go to overcome the increasingly unlikely odds. Explore six distinct areas that each demand their own approach and use your gadgets to teleport across levels, hack the sentry drones or even call on the help of an inflatable buddy. Stealth is your friend: stick to the shadows to avoid being detected. Security systems are authorized to use lethal force, so do whatever you can to avoid them. Create obstructions, hack their programming or simply switch off the lights – whatever you do, stay out of sight. 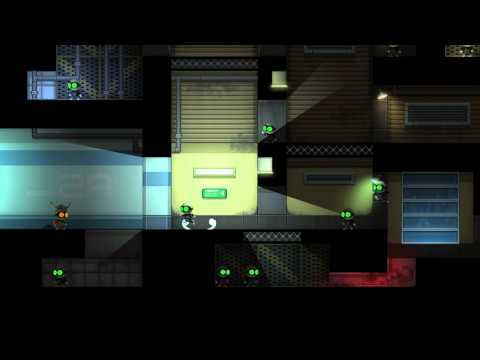 Buy Stealth Inc. 2: A Game of Clones on PS3.